Specific demographic data for Syria is unreliable. Some minority groups are defined primarily by religion, others by ethnicity, and some are relatively recent immigrants. Many of them can also be found in neighbouring countries. Physical and human geography have been major determining factors in Syria’s social fabric: city, desert, mountain and sea. Until the present century, social divides between town dwellers, peasants and Bedouin, and the conflict between the latter two, were almost as important as religious differences. Syria’s population was estimated at 20.8 million (World Bank,2011) and was growing at an estimated rate of 2.4 percent in 2004. The annual growth rate from 1990–2002 was 2.6 percent. About 52 percent of the population was urban as of 2002, with a growth rate of 3.1 percent. Syria is one of the most densely populated countries in the Middle East (57 people per square kilometer in 1986 and about 363 per square kilometer in 2004), but there are significant regional variations. The population is concentrated along the coast in the west, in the south around Damascus, and in the Euphrates River Valley in the northeast. According to the UNRWA (end of 2012) 499,189 Palestinian refugees and 1.2 million Iraqi refugees since the U.S.-led invasion of Iraq in 2003 are believed to reside in Syria. In addition, Syria before the crisis had already some 170,000 internally displaced people, mostly from the Golan Heights. An estimated 40,000 people remain in the Golan Heights, including about 20,000 Arabs and 20,000 Israeli settlers. Of course, since the crisis the distribution of the population looks totally different. Of the Syrian population, around 3 million have fled to neighbouring countries as a result of Syria’s conflict (end of August 2014, UNHCR). Further according to the UNHCR almost half of all Syrians have now been forced to abandon their homes and flee for their lives. One in every eight Syrians has fled across the border, fully a million people more than a year ago. A further 6.5 million are displaced within Syria. Over half of those uprooted are children (for the latest figures see the UNHCR website). The labour force (some 6 million) is growing at a rate of about 3 to 4 percent per annum. Unemployment is high: 18 percent (CIA 2012 estimate), and even higher for the age group 15-24: 19.1 percent (Index Mundi, 2012). Life expectancy at birth is 76 years old. The population is young: more than a third (36 percent) is under fifteen years of age. The number of individual languages listed for Syria is 17. Of these, 16 are living and 1 is extinct. Of the living languages, 4 are institutional, 2 are developing, 4 are vigorous, 5 are in trouble, and 1 is dying.Arabic is the official language spoken by 89% of the population. Several modern Arabic dialects are used in everyday life, most notably Levantine in the west and Mesopotamian in the northeast. Kurdish (in its Kurmanji form) is widely spoken in the Kurdish regions of Syria.Armenian and Turkish (South Azeri dialect) are spoken among the Armenian and Turkmen minorities.Aramaic was the lingua franca of the region before the advent of Arabic, and is still spoken among Assyrians, and Classical Syriac is still used as the liturgical language of various Syriac Christian denominations. 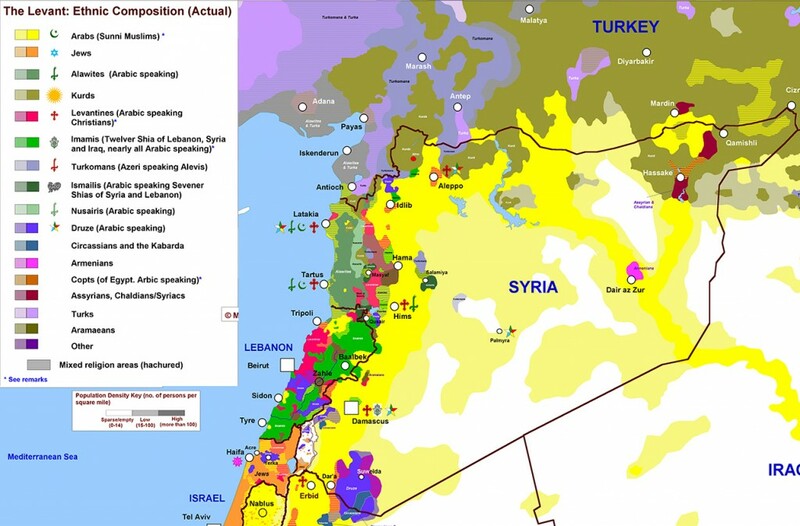 Most remarkably, Western Neo-Aramaic is still spoken in the village of Ma`loula as well as two neighboring villages, 35 miles (56 km) northeast of Damascus. 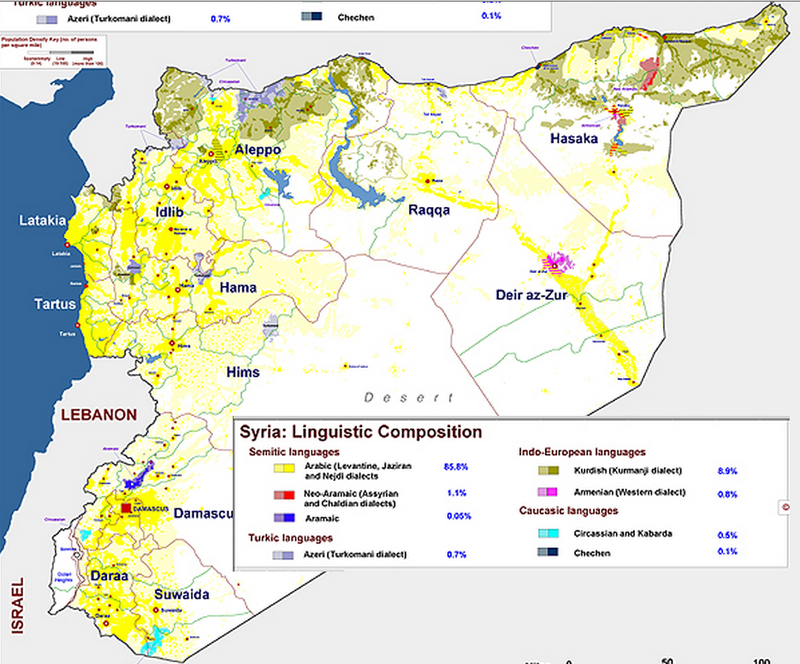 Many educated Syrians also speak English and French. The Syrian population forms a mosaic of cultures and ethnic groups, which has been building up for thousands of years. Their diversity is an essential part of the nation, and was in the past even greater than it is today. While in the mountain ranges religiously ‘dissident’ communities were able to hold their own against Muslim or Christian orthodoxy, a more cosmopolitan Mediterranean trading culture developed on the coastline which had as much in common with other seafaring cultures of the Mediterranean as it had with its hinterland. Of a Jewish population that numbered around 40,000 before Israel’s establishment in 1948, nearly all have emigrated and only around 100 to 200 Jews remain in Syria today. They are concentrated in Damascus and Aleppo. Jewish settlers moved into the Golan Heights after 1967, and Israel annexed it in 1981, but the United Nations refused to recognize the new status. Around 1.5 million Kurds form Syria’s largest ethnic minority. About a third of them live in the foothills of the Taurus Mountains north of Aleppo, and an equal number along the Turkish border in the Jazirah. A further 10 per cent can be found in the vicinity of Jarabulus northeast of Aleppo, and from 10-15 per cent in the Hayy al-Akrad (Quarter of the Kurds) on the outskirts of Damascus. Armenians, Circassians and Turkomans are smaller ethnic minorities. 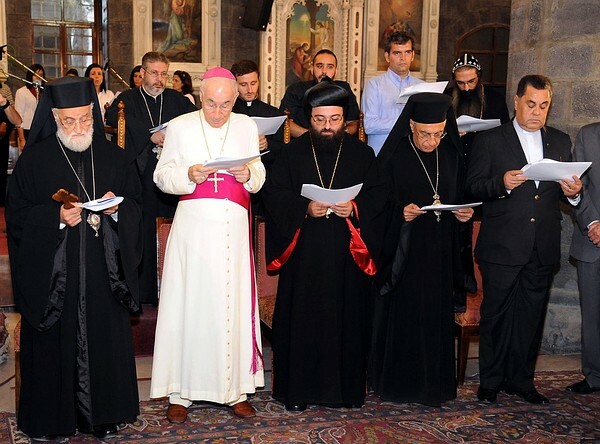 Armenians of various Christian denominations live mainly in Aleppo, but also in Damascus and the Jazira. Several thousand Circassians live mostly in Damascus. They are descended from refugees who fled Russian invasion of the North Caucasus in the latter half of the nineteenth century and settled mainly in the Jawlan (Golan). Here they came into conflict with the Druze. They were mobilized as auxiliary forces against the Druze in 1896 and 1910 and by the French in 1925. The vast majority, 74%, is Sunni Muslim, 16% other Muslim (including Ismailis, Shiites, Alawites and Druze), 10% Christian (various denominations, primarily Greek and Armenian Orthodox). In addition there are small Jewish communities in Damascus, Al Qamishli and Aleppo. This demographic mosaic is complicated by divisions within many of these groups. For example, Sunni Arabs are not as demographically dominant as they might seem. 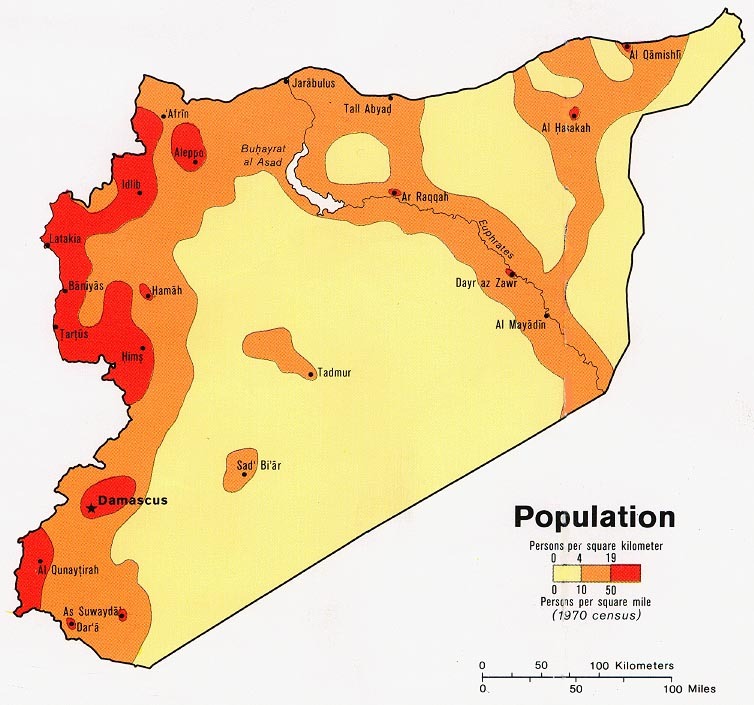 To begin with, the basic numbers are disputed; Alawites may constitute as much as twenty percent of Syria’s population. The Sunni population also includes many non-Arabic speakers, including most Kurds–and the Kurdish population may form fifteen or even twenty percent of the total. There are a small number of Yezidis in Syria, ethnic Kurds who practice a 4,000 year old religion (see Iraq). Their numbers have declined over the years largely due to assimilation into Islam. One community is in Jabal Sim’an and the Afrin valley in north-west Syria, and dates back at least to the twelfth century. A slightly larger group, composed of refugees mainly from southern Turkey but later also some from Iraq during the 1920s and 1930s, is located mainly around Hasaka in the Jazira, north-east Syria as well as Aleppo. Alawi Muslims are Syria’s largest religious minority. They live mainly in the Nusayri Mountain range in the coastal part of north-west Syria, but also on the inland plains of Homs and Hama. Smaller numbers of Ismaili Muslims live for the most part in the coastal mountain range, south of the main Alawi areas. Twelver Shias live in a handful of communities near Homs and to the west and north of Aleppo. Greek Orthodox Christians and Greek Catholics are concentrated in and around Damascus, Latakiya and the neighbouring coastal region. Syriac Orthodox Christians are located mainly in the Jazira, Homs, Aleppo and Damascus and Syrian Catholics in small communities mainly in Aleppo, Hasaka and Damascus. There is a small community of Maronite Christians mainly in the Aleppo region. The Maronite community is a surviving remnant from before the majority sought safety in Mount Lebanon in the sixth century. It has maintained ties to Rome since the twelfth century, and the liturgy is in Syriac. Christian numbers are also likely under-reported, as they seldom include the hundreds of thousands of Iraqi Christian refugees living in the country. Besides the Christians are divided into eleven main sects, including the Greek Orthodox, Melkite, Syrian, Maronite, Chaldean, Armenian, and Catholic denominations. Next, the Sunni Arabs range from the highly pious to the very secular and are divided between an urban elite and the rural masses that traditionally have had diverging political loyalties. Like many countries in the Middle East, the sharpest divide may not so much be religious or ethnic as it is ideological and existential, pitting Muslims who want to align politics with religion against those who wish to keep them apart.